The competition is definitely hotting up in the fleet at each event! 27 RS Aeros traveled to Burghfield SC in order to compete in the inaugural sustainability challenge. With three fantastic trophies donated to the class by The Green Blue, warm spring sunshine and a light to moderate breeze the stage was set for a great first event on the UK Southern Circuit calendar 2017. 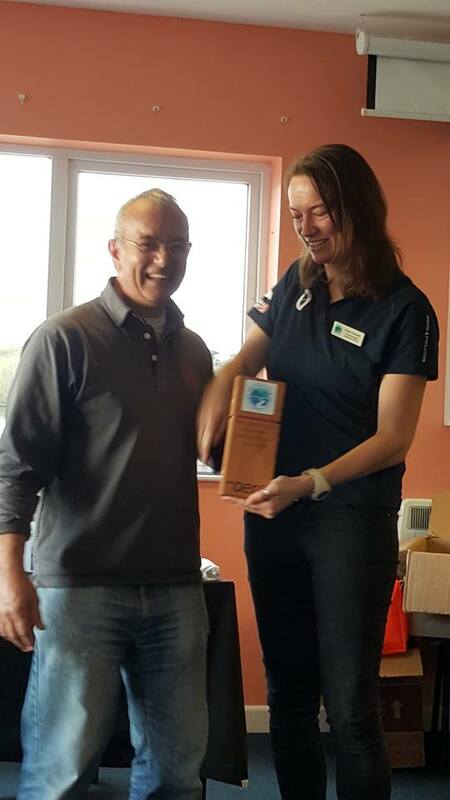 17 entries for the 9 rig, 7 entries in the 7 rig, and 3 opting for the 5 rig provided for fantastic fleet racing and close boat to boat tactical sailing. After a slight delay in proceeding to allow for those unfortunate sailors affected by the closure of a section of the M4, racing kicked off just after 1100. Paul and Greg Bartlett deserve a prize for the speediest rigging of their Aero's after braving the traffic. The efficient race team set a trapezoidal course with a long first beat towards the clubhouse for the first race all Aeros on one start with results to be split into fleets later. Sailing a 9 rig, Rich Watsham was early to capitalise on the conditions leading into the first run, however getting sloppy after having a winter break an embarrassing light wind capsize ensued providing the fleet with some morale and a Rich with a cool down from the unusually pleasant early April weather. Ben Rolf pushed ahead to take a convincing win with Nigel Rolf hot on his heals in the 9. Chris Harrup used good local knowledge of Burghfield to push his 7 rig to victory and Roger Belton from Felpham took honours in the 5. The race officer squeezed in two more races in the pre-lunch session, making the most of the good weather and moderate (occasionally light) breeze. Paul Bartlett stepped up a gear in the next two races taking 2nd and 3rd respectively to move into contention with Nigel and Ben Rolf at the top of the 9 fleet. Peter Barton started his march to the lead with a bullet in the 2nd race, all was still to play for going into the afternoon. In the 7 rigs Chris Jones began to dominate his fleet mixing it with the 9 rigs on the water. Roshan Vergesse in the 5 fleet edged ahead in the second race with Alice Lucy and Roger Belton providing close racing. The lunch break provided a good amount of time to fill up on some pie and chips while watching the cumulus and cumulonimbus cloud gather on the horizon. With lunch over all Aeros returned to the water for the last session. Two races to go and boats battled hard in the now changeable and unstable conditions, each new cloud drove big shifts and big changes in wind speed. Some boats maximised the opportunities available as each cloud passed however it was possible to take big hits in position too. Showers finally came by the penultimate race, but this didn't dampen spirits. Winners in these conditions included Peter Barton adding another two bullets to his total in the 9 rig and Chris Jones in the seven. Andy Hill had a great final race beating most of the 9 rigs on the water! Off the water sailors grabbed a pint while the showers stopped and the sun returned. 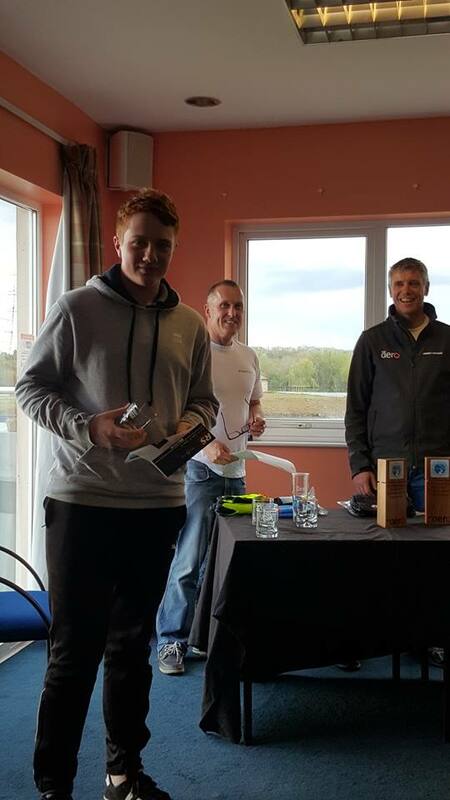 The RS Aero Sustainability Challenge was won in the 9 rig by Peter Barton with local dad and son team Nigel and Ben Rolfe in 2nd and 3rd (regaining their family crown after losing it to the Bartletts at the Spring Champs). In the 7 rig a consistent performance from Chris Jones saw him take the title with Matt Evans and Chris Harrup 2nd and 3rd respectively. Tight racing in the 5 rig over the day saw Roshan Verghese clinch the victory followed by Roger Belton then Alice Lucy. 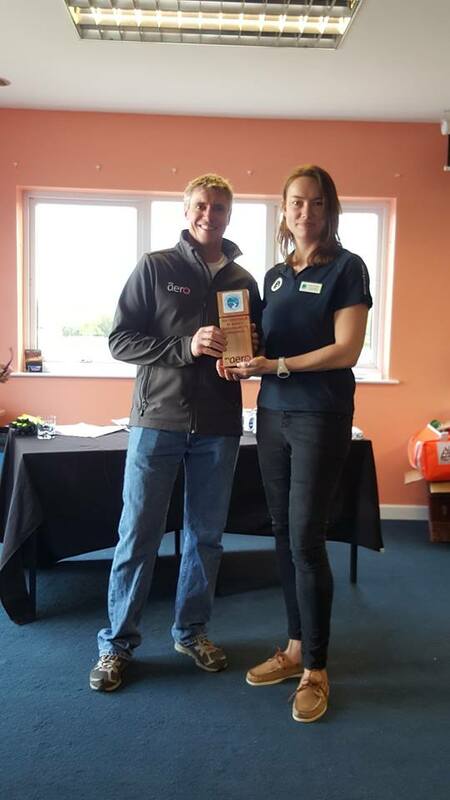 Thanks must go to Burghfield Sailing Club for being excellent hosts and also to Race Officer, Ian Bullock, and his team who managed the Aero fleets and the concurrent Blaze open meeting perfectly. The use of an iPad to video the start and finish made for a fair regatta with close calls on the line being reviewed and ensuring the correct calls were made. 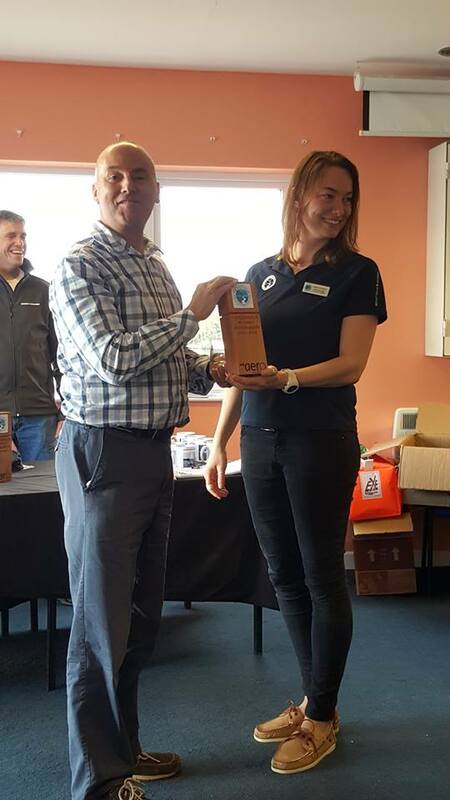 A big thank you to The Green Blue and their sustainability project is also due for providing the winners prizes and helping to educate the fleet on how to mitigate our environmental footprint. Next up for the RS Aero UK Class is the Lymington Coaching this weekend, the sixth and final monthly of the winter coaching weekends. Over Easter is the Green Frog Genovate RS Aero UK Northern Championships at Ullswater before the fleet returns South for the Speed Six Broadwater open in Middlesex on the 23rd. Full details of each event can be found on the RS Aero UK event page. A fantastic insight into the role of the race officer policing a start line with his iPad video from the rooftop of the committee boat. Pushing hard and receiving the PROs full attention are 2074, 1181, 1817, 1298, 1071, 1792 & 2093 ! 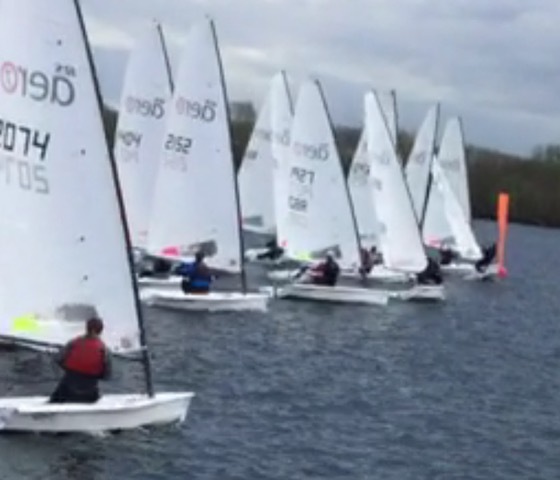 Thanks to PRO Ian Bullock and his team at Burghfield SC for sharing this footage with the fleet.